KUALA LUMPUR (AFP) - Maternity trousers that seek to cover Muslim women's private parts during childbirth have been heavily criticised by women's groups in Malaysia, who question their safety during pregnancy and labour. 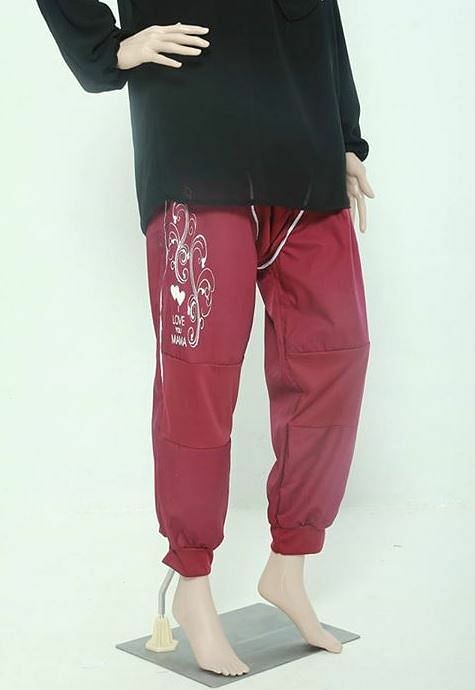 Sales of the "Mamapride" trousers - which look like jogging bottoms but have a flap in the crotch area which can be removed for childbirth - have surged according to online dealers. Costing around RM100 (S$35.60), the trousers aim to protect Muslim women's modesty but women's rights activists have questioned if they are medically safe. "Most medical practitioners recommend clothing that is loose-fitting, comfortable, and breathable which can be easily removed by doctors if necessary," said All Women's Action Society communications officer Evelynne Gomez in a statement. "The length of the pants may also pose a problem during delivery as it may interfere in the process of examinations. More pressingly, the fact that the pants in question only provide a small opening for the baby to 'make its way out' is a cause for concern as this may compromise on a safe, unobstructed delivery process." The trousers also reflect a culture of body-shaming in Malaysia, Gomez said, adding that how women perceive their own bodies is intertwined with politicised Islam. Masyitah Locman, a doctor and one of the many online agents distributing the pants, said she believes they offer choices to women. "It depends on the individual women because some women feel more comfortable wearing these pants during childbirth while others don't need them to be comfortable," she said. "It's not as if we are saying every woman should wear them during pregnancy." Masyitah said the opening was big enough and safe for childbirth and added that studies and trials had been done on the trousers at private hospitals before they hit the market a year ago. Responding to an article on the Malaysian Insider website, one reader said: "Much ado about nothing. If certain parts of the body were so 'sinful', babies would be born fully clothed." Another commented: "would be much easier solution to switch off the lights ... female nurses can use night vision to guide the doc." The subject of religion and women's clothing came under the spotlight in Malaysia recently after a spate of incidents whereby women were not allowed into public buildings because their skirts were deemed too short. Islamic religious leaders in June heavily also criticised Malaysian-Muslim gymnast Farah Ann Hadi for her leotard during the Southeast Asian Games held in Singapore.